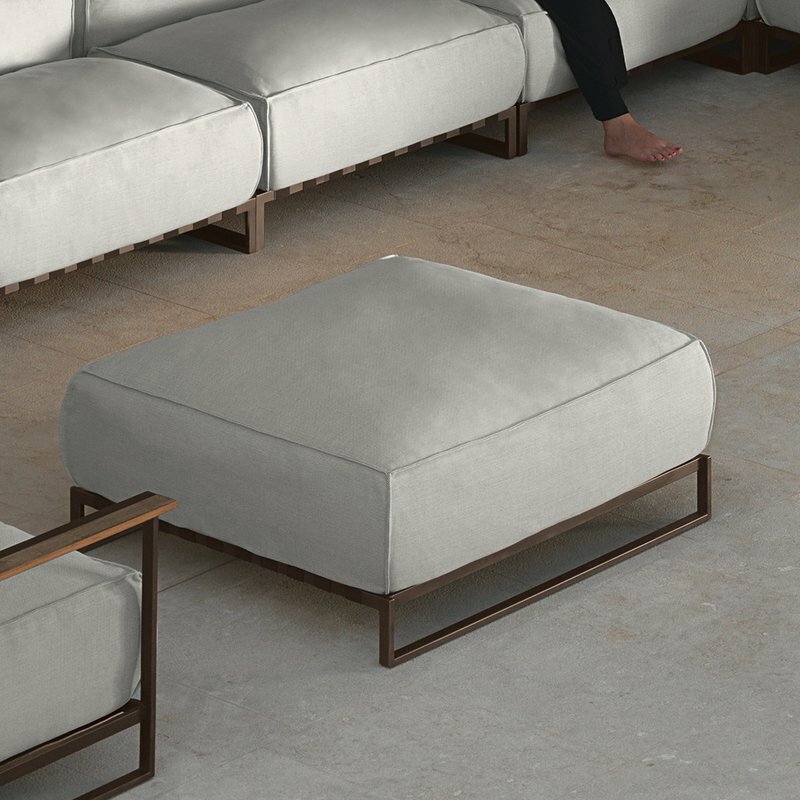 The Casilda pouf is a wonderfully versatile piece of furniture. 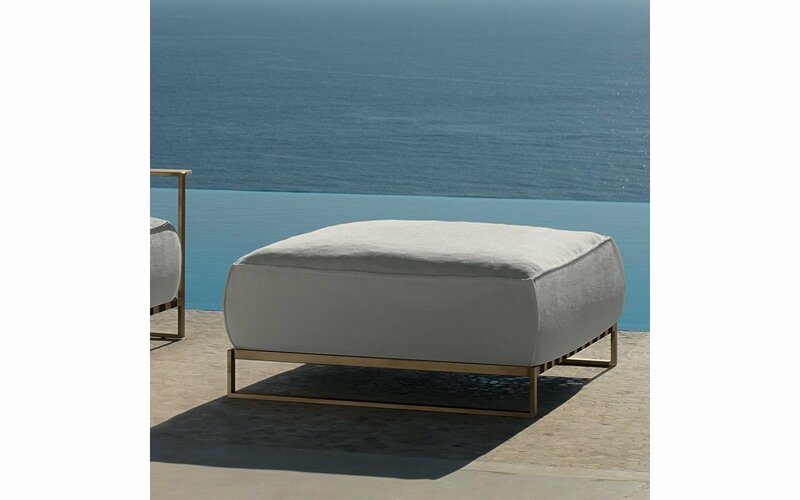 Made to work with the Casilda modular outdoor sofa and chair set, it can be used to extend the seating capacity of the sofa, as an extended leg rest for the sofa or chair. Or a really handy stand-alone seating option when you have a large group around. At 100 x 95 cm (39.5 x 37.5 in) it is a generous size for several guests. 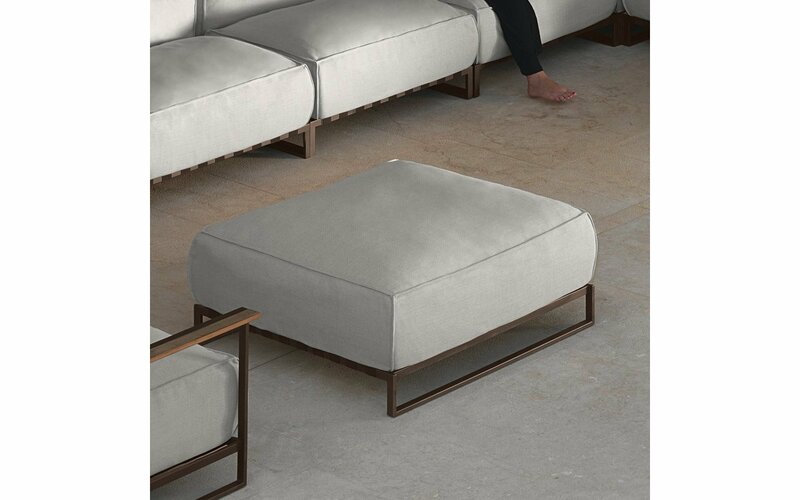 Like the rest of the Casilda range, it features the dark brown Mokka powder-coated stainless-steel frame, resplendent in its pared-back simplicity, topped by a deep, soft, well-padded cushion in signature mélange grey fabric, chosen for its unique color effect and discreetly mottled tones. The Mokka variant also comes with subtle white beige cushions. Alternatively, you can choose brushed gold frames with pristine white fabric, or white powder-coated frames with luscious dark grey cushions.